The Club at Maderia Canyon offers scenic views, resort-style living, and a vibrant lifestyle. Located in Henderson with amazing views of the Las Vegas Strip and the mountains beyond, The Club at Madeira Canyon is a diverse and multi-generational community offering world-class amenities and a slate of activities to fill any social calendar. It's set just far enough off the Strip to avoid the hustle and bustle, but close enough for easy access to shops, restaurants and casinos. 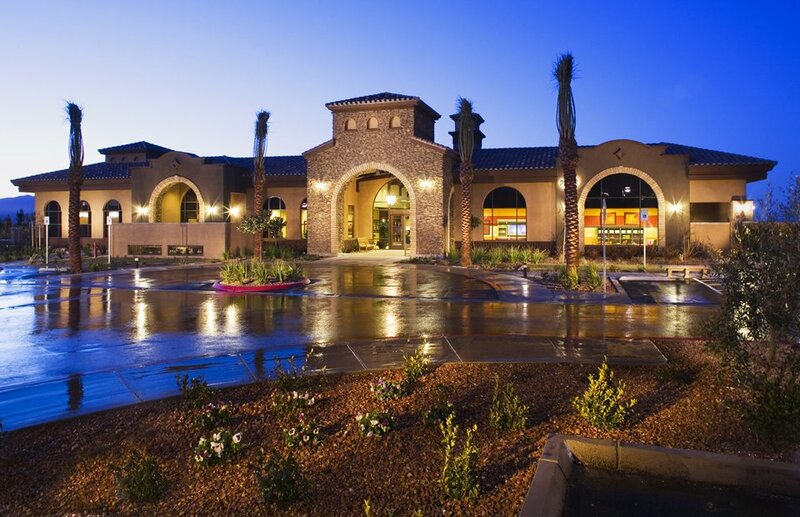 Del Webb broke ground on The Club at Madeira Canyon in 2006 with a total of 500 homes planned upon completion, and residences are currently available on a new and resale basis. This is also a gated community that features a 24-hour guard and nighttime security patrol. A homeowners' association fee covers facility use and common-area maintenance. Housing options include both single-level and two-story models with a full menu of floor plans and features. Homes range from 2,354 to 4,574 square feet, feature plenty of curb appeal, and come with a choice of energy-efficient appliances and other options like great rooms, dens and media rooms. An elegant clubhouse is the center of community life for residents. It houses a state-of-the-art fitness center and dance studio, activity rooms for hobbies and group activities, and a community kitchen equipped for gatherings both large and small. The club employs personal trainers, tennis pros who organize and lead regular practice clinics, and a massage therapist and reflexologist. Luxurious outdoor facilities help make the most of the beautiful weather — temperatures average around 70 degrees all year long. Homeowners can take a refreshing dip in a resort-style pool, play tennis or basketball, or hike along several miles of walking trails. Open park areas are gathering places for picnics, baseball games and soccer. Local get-togethers are popular and include events like pot luck dinners, wine tastings and bake-offs. An elegant on-site clubhouse that is strategically placed on a hill to maximize the breathtaking views of the Nevada region. 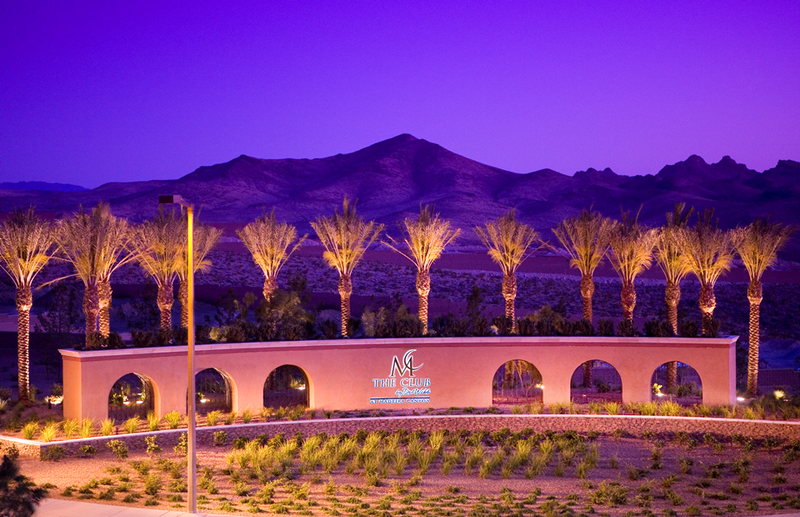 Henderson is conveniently located near the heart of Las Vegas as well as several recreational parks and resorts. The casinos, of course, make up a large part of the area's attractions, but so do cultural offerings and an eclectic restaurant scene where diners can find haute cuisine right alongside burger joints and old-fashioned diners. Camping, hiking and boating are another huge draw in the region. Lake Mead, located in Clark County on the Colorado River, is the largest reservoir in the nation. Several marinas invite boating and water skiing near sandy beaches and islands. Red Rock Canyon National Conservation Area is a short drive west of Las Vegas and a destination for rock climbing, hiking and horseback riding. Nearby resorts include the Green Valley Ranch and Red Rock Resort and Spa, both featuring well-appointed amenities plus a spa and casino. Active adults who are seeking a multi-generational, gated community in the heart of Nevada will enjoy this Del Webb property and all of the popular lifestyle features that go with it.